Let us impress your guests with our boutique hospitality! The atmospheric Restaurant of Hydrea’s Exclusive Hospitality Castello , has the most wonderful terrace of the island, is the ideal spot for special occasions, anniversary celebrations, wedding receptions and any kind of special small group events. Formal meeting or casual cocktail party? Castello’s Team helps you plan and host an event that’s as unique as you are. You just need to trust our renowned planning resources to coordinate every detail. A magical wedding reception comes to life at the historic old castle of Castello Restaurant. We are here to help you plan and hold your wedding ceremony in the setting you’ve dreamed of. 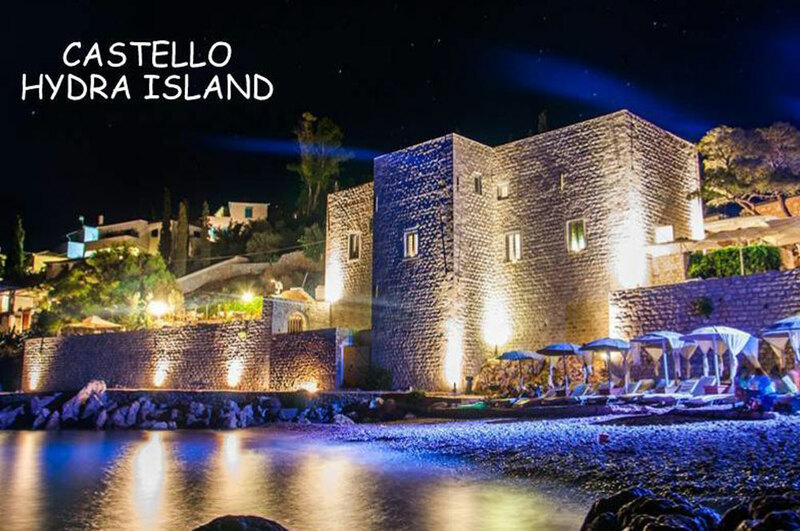 At Castello Restaurant you will find a perfect start for a life lasting journey. A place of elegance, serenity and pure beauty. Exchange your wedding vows under breathtaking sunsets and then enjoy the party of your life with an enthralling sea view from Castello’s wonderful balcony. A fairytale celebration with friends or a classy affair with your family? Whatever your dream is, we will be delighted to help you make it true!